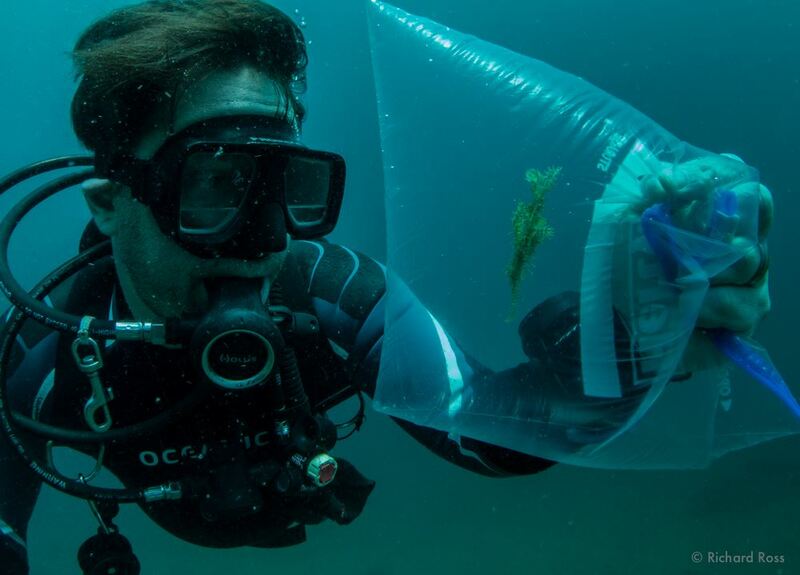 A team of scientists from the Steinhart Aquarium at the California Academy of Sciences is currently on location for the 2014 Philippine Biodiversity Expedition; ongoing field reports and quick updates have been pouring in via social media and their blog. More than one update has stopped us dead in our tracks. The news of Ghost Pipefish being collected was even more relevant to all of us folllowing developments in marine breeding. Steinhart Aquarist Richard Ross with a freshly collected Ornate Ghost Pipefish, Solenostomus paradoxus, destined for life and breeding research in California. Image by Alexis Principe. 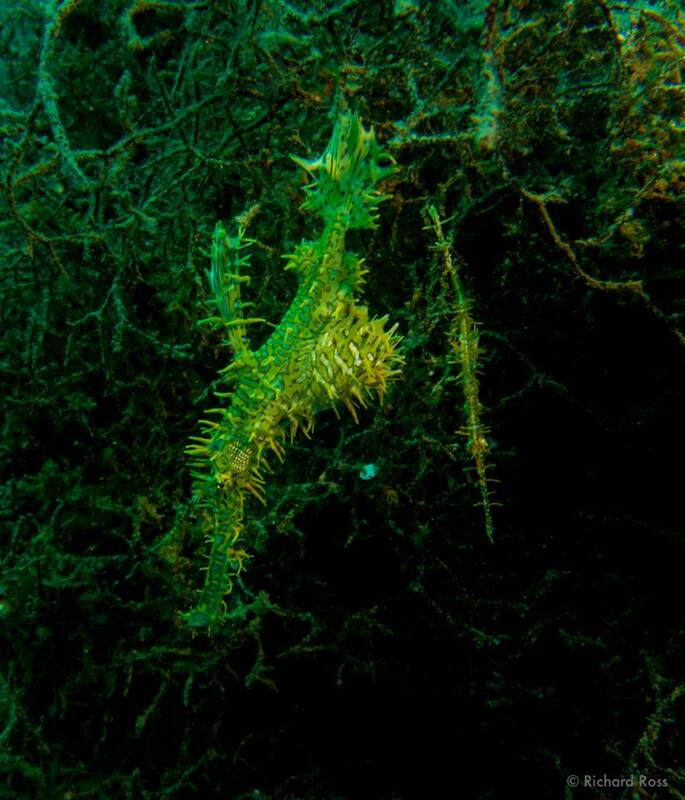 Reported on May 7th, Steinhart Aquarist and CORAL contributor Richard Ross successfully collected a pair of Ornate Ghost Pipefish. These stunning fish are known to be incredibly challenging aquarium captives, but the aquarists at the Steinhart are no strangers to pipefish of the genus Solenostomus. Ross and fellow aquarist Matt Wandell first worked with several Ghost Pipefish collected during the 2011 Philippines Biodiversity Expedition. The discoveries and husbandry advances made are truly game changing for fish from this genus. Efforts at the Steinhart culminated with captive spawning and rearing attempts that truly pushed the boundaries of marine husbandry well into the unknown. While these fish are still exceedingly rare in the aquarium hobby and industry, it is fair to say that the observations made by Ross and Wandell have certainly paved the way for the most diehard aquarists to attempt these fish on the odd chance that they ever do show up. The work of Ross and Wandell was well-documented in an extensive CORAL Magazine article, published in the January/February 2013 issue. With the capture of new pipefish specimens, another chapter may be written with new discoveries and greater accomplishments hopefully built upon prior experiences. As Ross reports from the Philippines this evening, “We have two pair of different species shipping today.” For those reading this on or around May 8th, 2014, four epic fish may already be en-route to California. In recognition of this new beginning, CORAL Magazine is delighted to publish a short online excerpt of Ross and Wandell’s article, Revealing the Mysterious Ghost Pipefish. You can read the excerpt online, and the full length article (pages 38 to 53) is available as a hard copy back issue. We encourage CORAL Magazine readers to “Like” the Steinhart Aquarium on Facebook and follow the real-time blog for the 2014 Philippine Biodiversity Expedition – certainly more exciting news is coming. Special thanks to Richard Ross for sharing his insights and images – best of luck with the new pairs!